I don’t think anyone really gets to own an airplane. Instead, I think you become a caretaker of a machine with a soul. You adopt it, become its protector and promoter and if you do a good job it takes you on adventures. Yesterday we adopted “Charlie”. 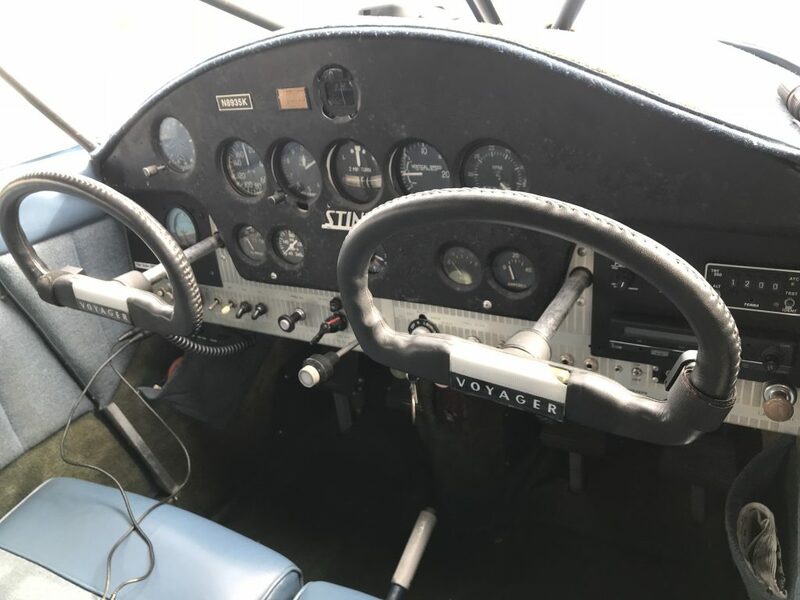 Charlie is a 1947 Stinson 108-1, who has had a bunch of upgrades and was originally born in February of 1947 in Wayne, Michigan. She turned 70 years old this year. She lived most of her life with a couple of owners in Michigan. Beginning in 1977, she sat for many years without use. In 1994 a new caretaker decided it was time for her to be rebuilt. With an extensive effort, by 1995 she was again ready to fly with new fabric, a bunch of upgrades, and a new engine. She served her new caretaker well from what we can tell from the logbooks but eventually transitioned to new homes. A short stint in Florida, then to her most recent home in Palestine, TX, where we met her most recent caretaker. Brian Rucker. 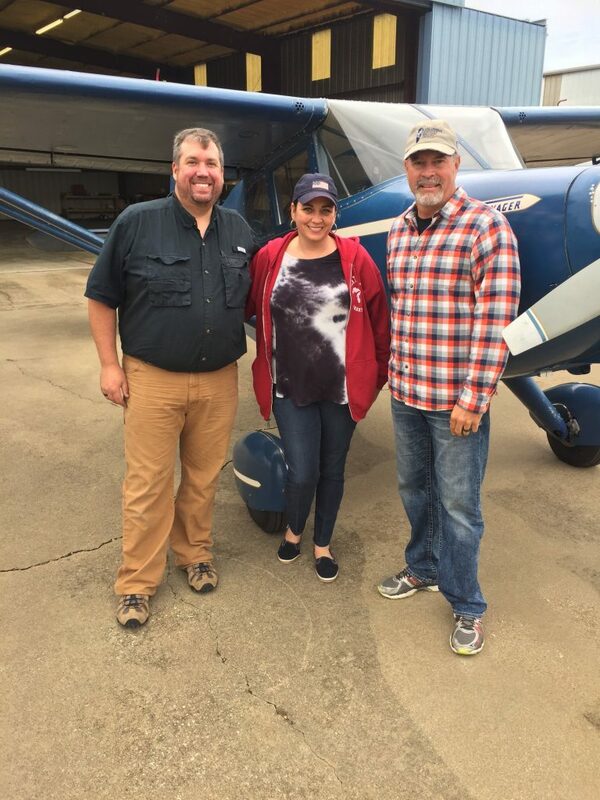 We arrived in Palestine, TX to find Charlie tucked into the back of Brian’s hangar, ready for a new adventure. When I first called Brian after seeing Charlie listed for sale, I immediately had a good feeling. He had given her good care, but just wasn’t giving her enough time in the air, so it was time to send her to a new home. We got lucky enough to be the next in her line of caretakers. The ones who he would be willing to hand off her story and her future to begin a new set of adventures. 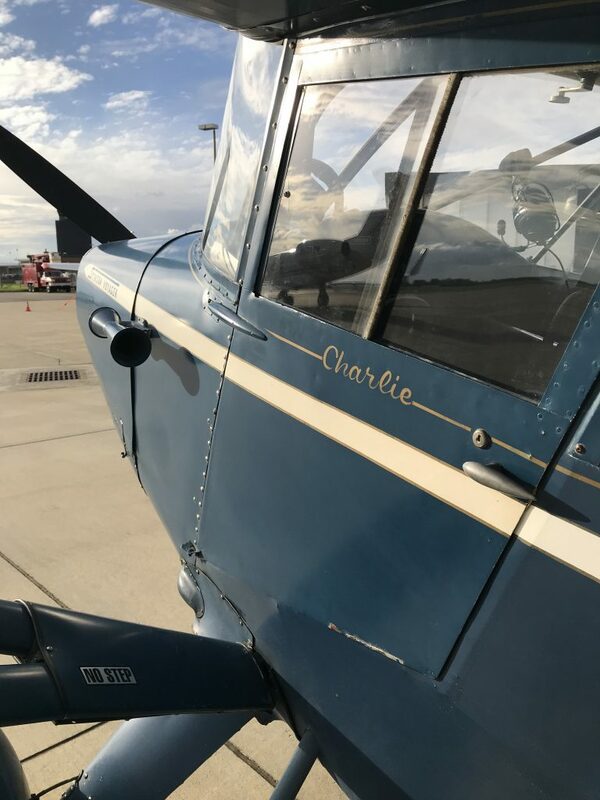 There is so much more we are going to learn about Charlie in the next weeks, months, and hopefully years, but there is no doubt that the piles of logbooks, pictures from restoration efforts, and even original sales brochures are going to give us many nuggets of insight into the history of Charlie. As soon as we have spent some time going through them, we will be sure to post some of the cooler things we find! In the meantime, it’s time to head back to Michigan with Charlie, bringing her back to where she was born, and close to where she was originally sold from (Grand Rapids). 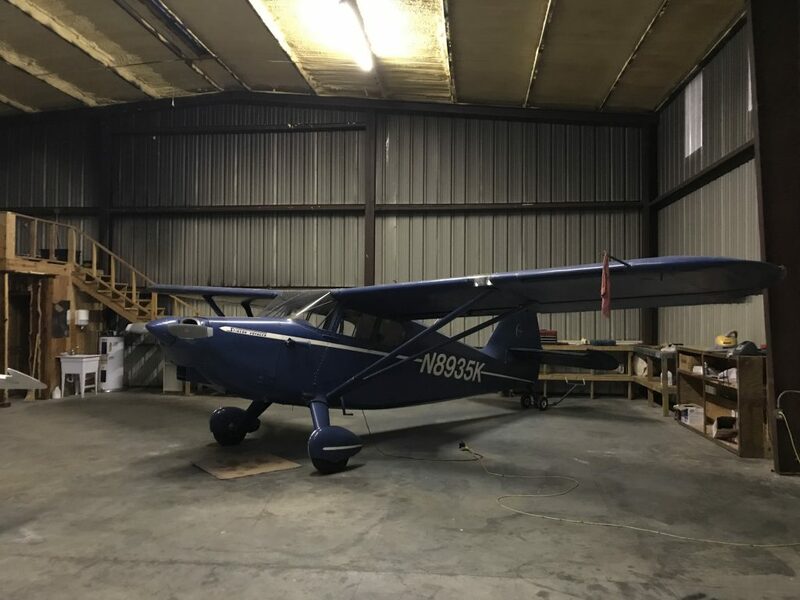 The goal is to get her there safely and to give her a new set of caretakers who will keep her safe and take her on an all-new set of adventures.